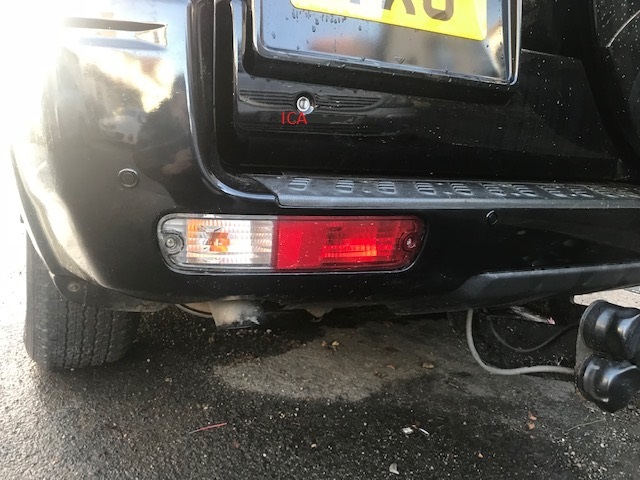 We fitted a set of Park Safe Rear Parking Sensors to this Toyota Land Cruiser In Southend. This kit was custom programmed to work alongside the spare wheel which is mounted on the rear door. Meaning the final warning / bleeper sound is extended by 15 CM’s allowing you more notice when you need to stop. The detection range is a good distance by detecting objects up to 1.5 meters away. This means the sensors will start a slow beeping when you start backing up into the 1.5 meter range, giving you more than enough advanced warning. 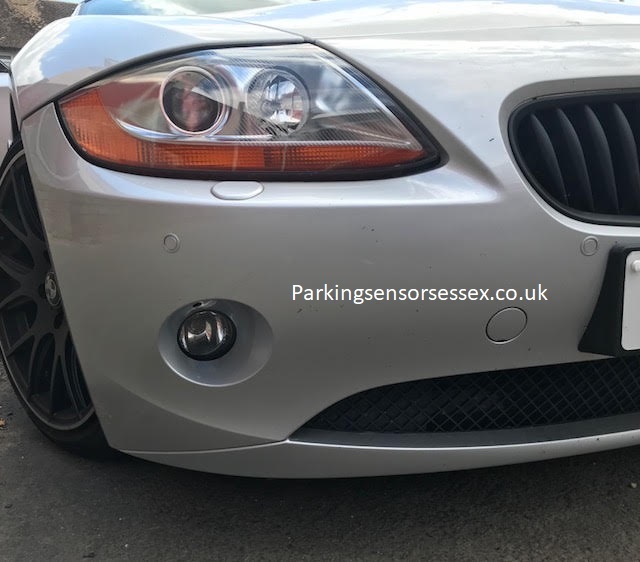 These sensors come in a gloss black as standard meaning they always match most forms of standard gloss black cars without the need for colour coding. If required we can offer professional colour coding to match any exisiting paintwork. This Ford Transit MK8 was fitted with a set of Parksafe rear parking sensors which give complete coverage when the vehicle is reversing. Due to this bumper also being at a slight angle these sensors needed to be custom programmed. Meaning they won’t detect / pick up the floor when reversing. 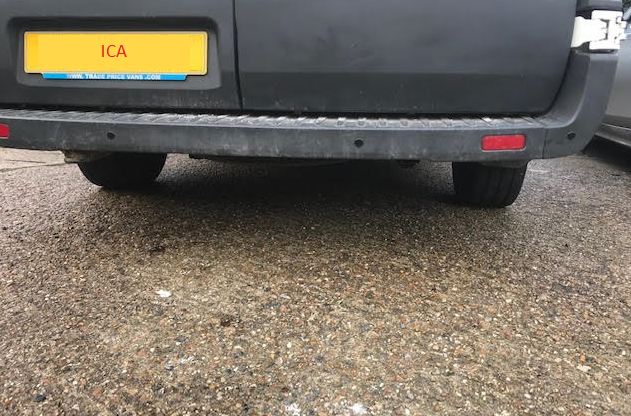 Parking sensors are a must have on any van due to the dangers when reversing and not having no rear windows to see any object which you might not see in your door mirrors. Our Sensors are very high quality and come with a 3 year warranty as standard giving complete piece of mind when having a kit installed by us. When installing these systems on vans we have a special loud buzzer which is much louder than a normal car spec bleeper meaning you can hear the bleeps clearly while reversing. All wiring is hidden out of sight and is soldered into the original vehicles wiring harness meaning you will have an installation that will last for many years. If required we can also colour code the parking sensors to match your exact vehicles body colour. 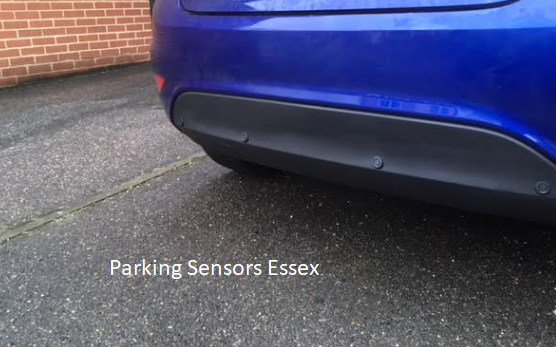 These parking sensors were installed in Basildon, Essex but we install parking sensors over the whole Essex area. Why not call us on 07525 068291 to get a quote today. If your looking for good parking sensors for the front of your vehicle we only recommend Cobra or Meta parking sensors. The Cobra system we installed onto this vehicle works perfectly when turning the ignition on for 40 seconds. If the sensors detect any objects within that time the sensors will remain active. Once the Cobra parking sensors have timed out they will simply turn off meaning they won’t anoy you while your stuck in traffic for example. 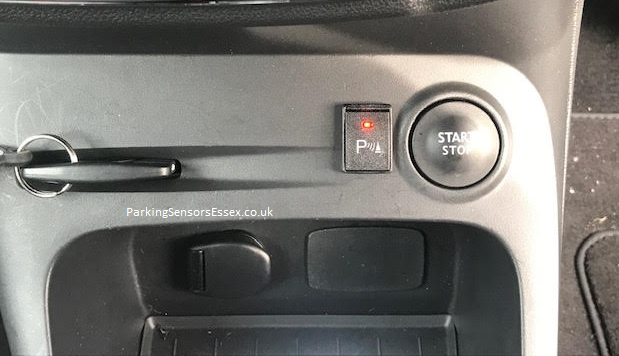 To reactivate the parking sensors you simply push the P switch for 1 second and you will hear a beep meaning the sensors have become active again and they will remain on for 40 seconds unless they detect objects. If they do they will remain on until they are turned off by the p switch or the vehicles ignition is turned off. With front parking sensors the front kit doesn’t know or understand when the vehicle is slowing down and as such the timer delay method is best. some cheaper made parking sensors have a basic rocker switch and it simply doesn’t look neat or work very well due to needing your input alot more while driving. The Cobra sensors work perfectly and we can adjust the timer if required while fitting the kit. This BMW Z4 needed some front sensors due to the very long bonnet it makes parking very difficalt. As such the customer wanted a good reliable set of parking sensors. 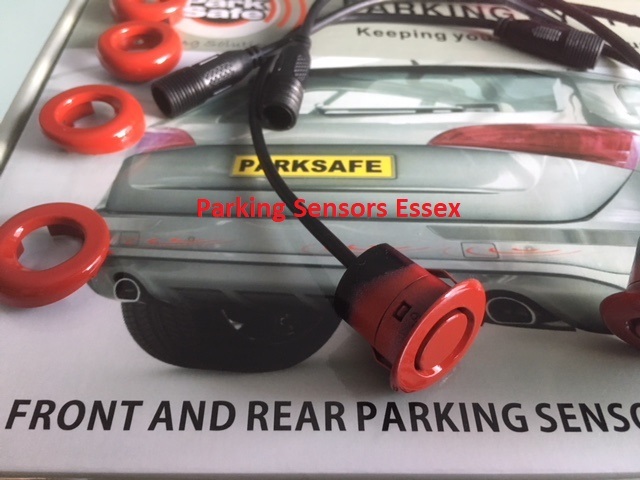 We recommended the Cobra 21 mm front sensors which work fantastic giving an excellent detection range but also providing excellent reliability for many years to come. The Sensors were professionally colour coded to the exact vehicle paint code of this vehicle. As you can see from the picture the sensors are a perfect match to the original paint finish on the vehicle. The sensors themselves wake up by pressing the P button which we mount within the vehicles interior. We program all front sensors to wake up for 40 seconds. Once no objects have been detected the sensors will time out and will await the next press of the P button. We are fully mobile parking sensors installers located in Essex. Offering the best parking sensor brands and installations. When shopping for parking sensors you will see many brands advertised but sadly every company has there own presure selling methods because there sensors are simply the best. Let me tell you the most major brands in the UK are Parksafe, Cobra, Laserline. All these sensors are known worldwide for there quality and excellent reliability, we offer a 3 year piece of mind warranty on all sensors supplied. The most important part / no matter what brand you choose is the colour coding. There are companies out there that will ask you to buy a spray can of paint and they will colour code the sensors while your there. This is only going to be a very thin layer of paint with no protection applied after. All our sensors are professionally colour coded in a spray shop before us installing the kit. This means you will have sensors that match your factory paint perfectly. Also the Gloss paint effect is another detail we make sure matches your paintwork. Many paints have a gloss finish and using a spray tin won’t get the same results as a professional spray gun. 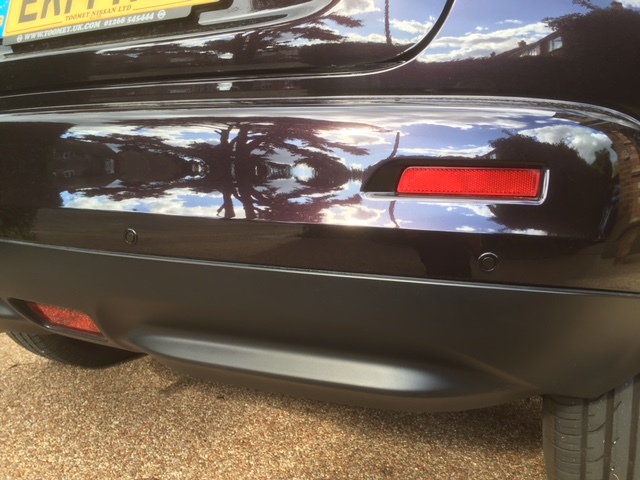 If you would like colour matched parking sensors installed, which are painted to a very high standard get in contact with us today. Dave 07525 068291.